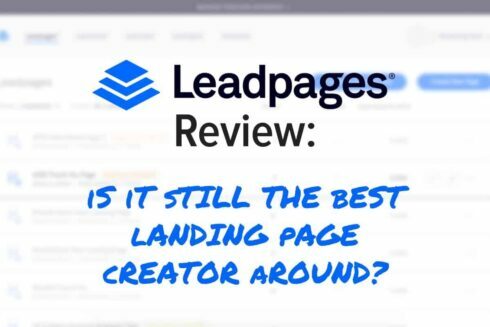 Leadpages Review 2019: Is It Still the Best Landing Page Creator Around? There have been substantial innovations in the marketing industry over the years. And yet, marketers are still bound to opt-in landing pages and pop-ups to generate new leads. That's where Leadpages comes in. 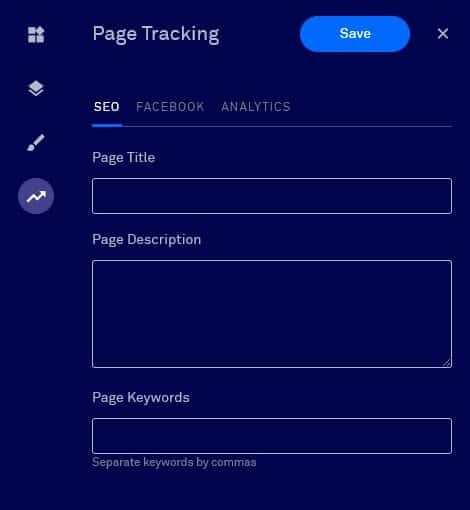 As you'll discover in this Leadpages review, the web-based platform promises to give you the tools you'll need to publish high-converting landing pages for your lead-generation campaigns. Try Leadpages for 14 Days Free Right Here! Leadpages is the perfect choice for people with the money to spend on a tool that will let them create beautiful and high-converting landing pages and opt-in boxes. Try Leadpages for 14 Days Free Right Here! To get you started, there are over 100 templates to choose from and can be filtered by industry. The templates are sorted by conversion rate which is quite useful. It provides users with an opportunity to pick a proven template based on Leadpages' data. Do note, however, that there are many factors that affect conversion rate. Because the templates are customizable, it's hard to attribute conversion to the template by itself. For what it's worth, Leadpages claim it as its most powerful and unique sorting feature. 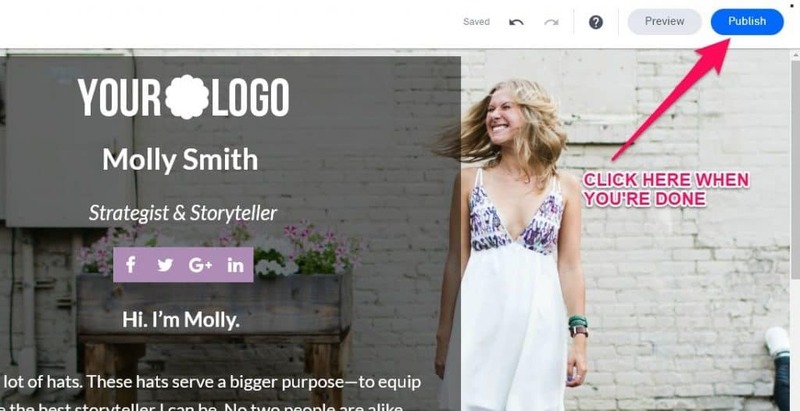 The templates are a mix of in-house and third-party offerings. Any template that's not developed by Leadpages itself needs to be paid for to use. Hosting is included in your subscription. Templates are responsive so mobile users shouldn't have a problem viewing your landing pages even when they're on their phones. If you've ever come across those pop-up boxes that appear just as you're about to leave a site, you've probably encountered Leadboxes. This nifty box can either pop up automatically or be triggered by a condition you set. The most popular condition is arguably the 2-step opt-in where a visitor has to click a button for the pop-up box to appear. If done right, Leadboxes could increase engagement and result in more leads for your business. 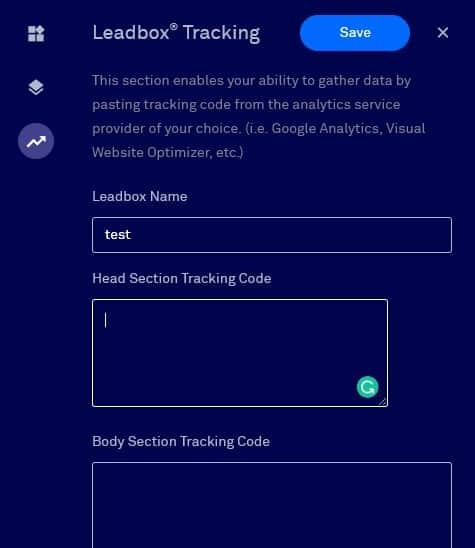 As with the landing pages, there is a drag-and-drop editor for Leadboxes to make it easier for users to get up and running in minutes. Once the recipient clicks on that link, they are instantly registered. They won't be required to enter additional information. This is especially useful for webinar registration and the like. After a quick registration process, you'll enter the dashboard and be encouraged to create your first campaign. By default, you're taken to Leadpages where you can create a landing page. You can access the site's other features through the navigation bar. To start your first landing page, click the Let's Do It button. The site will walk you through the process by asking you questions about the nature of your landing page. You'll be given access to all the available templates not long after. Alternatively, you can access the templates directly through the navigation bar. At this point, it is important to note that there are two types of templates available. 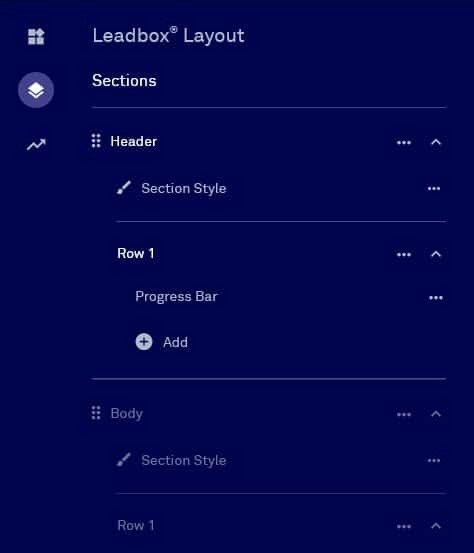 First, you have drag-and-drop templates which are more customizable and modern. Then you have your standard templates that are tried and tested to guarantee high conversion rates. Standard templates are straightforward with little room for modification. 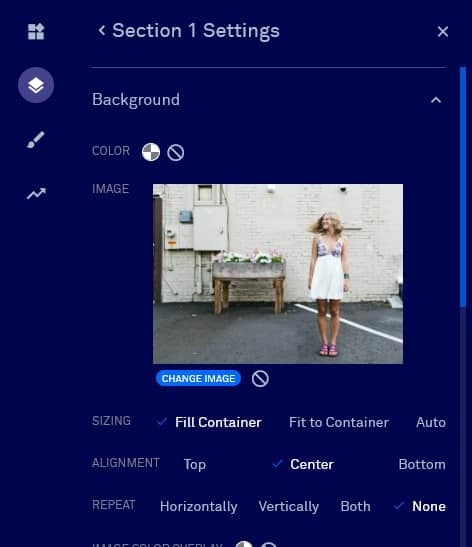 You will be able to edit the text and replace the sample images but won't be able to move any of the elements around. You can opt to hide any element you have no use for but users need to do so with caution. Hiding elements can lead to noticeably empty spaces. Once you're done, you can go ahead and save your work or have it published. 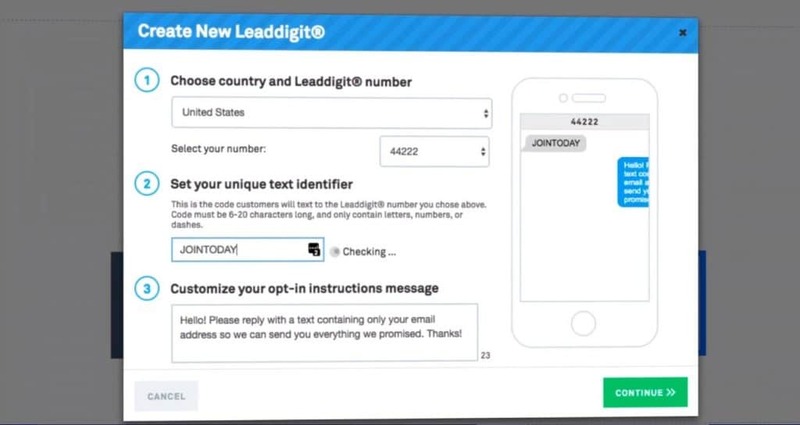 If you haven't connected your email service provider with your Leadpages account by this point, you will be prompted to do so. You won't be able to save the emails you collect otherwise. Drag-and-drop templates work a bit differently. Right off the bat, you'll notice that you have more options. The sidebar houses four buttons: widgets, page layout, page style, and page tracking. 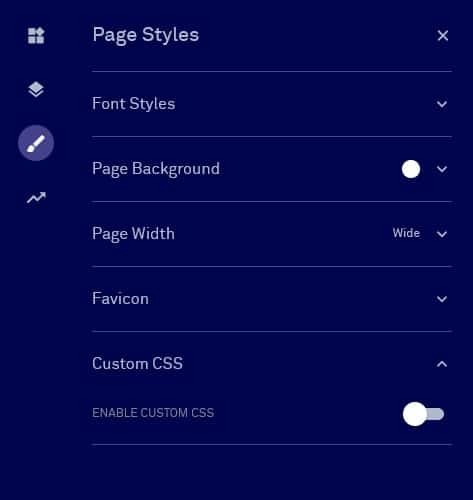 By dragging and dropping widgets to your landing page, you're able to insert new elements to edit. You can add headlines, text, images, videos, buttons, and more. It is here where you'll encounter one of Leadpages' most notorious kinks. The site's drag-and-drop functionality is flawed. Placing elements where you want them can be a pain. For starters, you can only place them in areas that the template allows you to. There are grids where widgets can be inserted while other areas are off limits. Then there's the issue with precision. The widgets tend to snap into place. And as is the case during our testing, they end up nowhere near its intended destination. Editing the text and images, however, is a breeze. 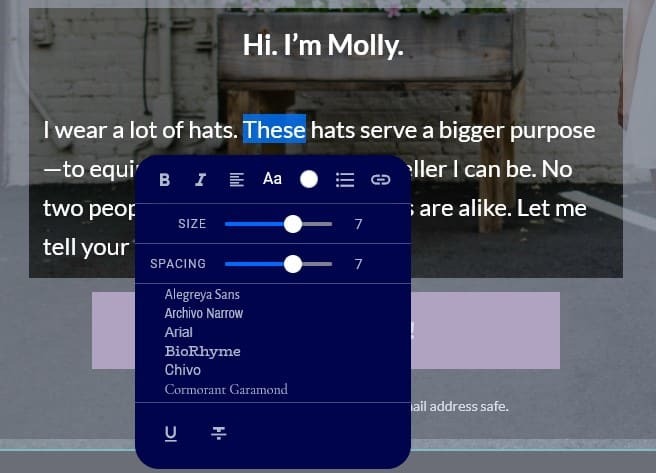 Simply click on any placeholder text and replace the existing one with yours. You can resize and move elements around. For example, clicking on the Page Layout icons shows you the different section the page has. With this template, there are two sections – the content body and the footer. Once you're done, you can go and publish your landing page. You'll find all your saved landing pages in the dashboard. You can go back and make more edits, rename the file, create a split test (A/B testing), duplicate the landing page, or have it deleted. You can publish your landing pages on their own or under your domain name. However, publishing under a subdomain can potentially turn off your audience. It's advised that you publish under your own domain. To do that, click on the user icon on the top-right part of the screen to open the drop-down menu. Choose “Domains” to load the page where you can connect your own domain. Users can subscribe on a monthly, annual, or two-year basis with the two-year plan being the most cost-efficient provided you're in for the long haul. There are three tiers to choose from: standard, pro, and advanced. At $25/month, Leadpages is affordable enough for startups and one-man showrunners. The benefits of being able to design and deploy landing pages for lead generation make up for the cost. But $48/month can be a steep price to pay given the small perks you unlock at that level. Unless you have a real need for online sales and payments and A/B testing, you're better off with the most basic plan. It should also be enough to help you earn more with your blog or site. Honestly, there's a lot to like about Leadpages. But the tool is far from perfect. Let's break down the pros and cons. For the average user, Leadpages will be more than enough to fulfill your lead generation goals. At the end of the day, all you need is a presentable landing page that will wow your audience. Leadpages is more than capable of getting the job done. It truly does not require any prior coding or design experience. The sheer number of available templates would be more than enough to get you started on the right track. There's a template for virtually every situation. Options range from webinar pages, thank you pages, product launch pages, checkout pages, and even 404 pages. Leadpages claim they have at least 160 free templates in their library. You can use Leadpages no matter what CMS you're using. It can support WordPress, Joomla, Squarespace, and more. 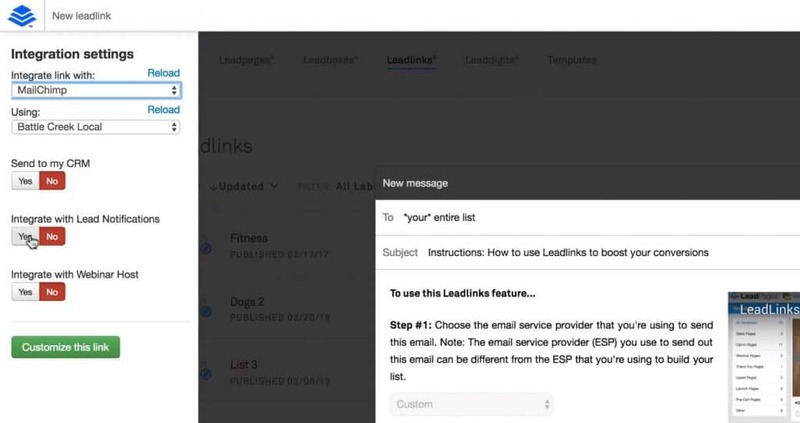 The bulk of this Leadpages review was focused on the landing page builder but let's not forget that subscribers also get access to Leadboxes. There's no denying the fact that pop-up boxes are effective and can result in conversions that would otherwise be missed if not for Leadboxes. The drag-and-drop functionality issues need to be addressed. People who are very particular about their landing page designs can struggle with the tool's interface. The tool can also slow down every now and then which can be troublesome especially for individuals who are on a tight deadline. Leadpages themselves encourage users not use their standard templates. There's barely any customization options. The lack of drag-and-drop feature is unavailable for standard templates. So even if you do find a template worth using in their dated selections, you'd be unable to customize them as you see fit. There's no denying the importance of A/B testing. It's the only way to see which pages are working and which ones need refinement. Unfortunately, standard users have no access to A/B testing and need to upgrade to a higher plan to make use of the feature. Leadpages is a good deal for startups given the reasonable $25 entry point. If you need sleek, responsive landing pages quick and would help you improve your conversion funnel and make more money, the tool will be more than capable of delivering just that. However, there are plenty of alternatives out there that do pretty much the same thing. Maybe not on the same level, but you do have options. The good thing about Leadpages is that they have a free 14-day trial period so you can check the tool out for yourself (though you do need to provide your credit card information). While Leadpages does have its merits, the abundance of landing page solutions out in the market along with the quirks of Leadpages' builder tool makes it challenging to recommend. I actually heard about LeadPages quite a while back (Back when Thrive wasn’t a thing). Glad to see they are still at the top of their game. The fact that LeadPages gives you a chance of connecting your domain with them is awesome. Thrive Architect actually uses a lot of code that can potentially slow the website down. Does publishing HTML codes on the website slow the website down with leadpages too? Or is the coding clean in their case?